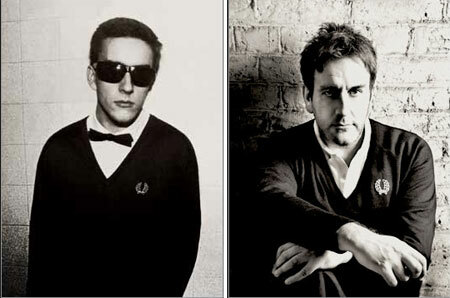 With the Specials reunion talk at fever pitch and Terry Hall out and about playing live (see some great footage here of his 100 Club gig), it seems the perfect time for Fred Perry to release the limited edition Terry Hall V-neck sweater. A classic sweater based on a classic image – the one of Terry in the very first issue of The Face. Indeed, this late 70s-style sweater has been made to the original specification of the day, complete with deeper ‘V’, oversized laurel, original cut and from pure British lambs wool. Just 500 are being made, with a choice of classic black or maroon on offer, sold in a collector’s limited edition box. I have it on good authority that these aren’t going to be around long (due to sizeable overseas demand), so if you want one, get one ordered now via the link below, they sell for £85.